A good place to start is the BTU (British Thermal Unit) or Watts (Metric equivalent) requirement this determines the amount of heat required for the room. Please use our online calculator or call us to discuss further, once you have this you are well on the way to selecting the right radiators for the job. Now that you have established the BTU or Watts required for each room, it’s time to browse through our stunning cast iron radiator range. The radiators will have to fit in the available space and provide sufficient heat output to match the room’s requirements. Our website ‘add to wish list’ option allows you to select the options you want for your radiator and email us your specifications. Our website contains all the radiator options available to you. Choose from all of the wonderful finishing options available to you, this is always a personal thing and we hope we have something to suit all possible choices. Now you need valves, these are available as a manually operated valve where you set the maximum temperature of the radiator or Thermostatic Radiator Valves (TRV’s), this type of valve senses the room temperature and adjusts the volume of the heating flow in to the radiator to automatically maintain your selected temperature. Now all you need is to choose the Wall Stays, Air Vents and Pipe Sleeves to compliment your radiators and you are ready to go. Once we have all of this information we will email you a quotation within 24 hours. Please do not hesitate to call us at any stage so we can guide and help you with ideas. 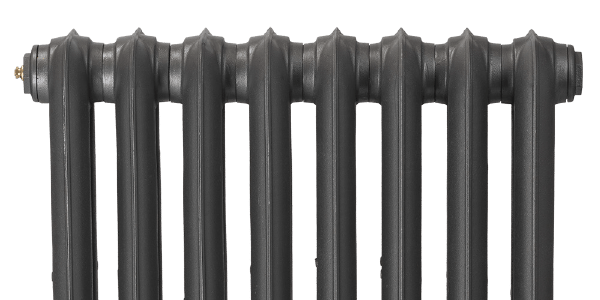 Call us today on 01205 280354 or email us at sales@paladinradiators.com for help and guidance on choosing your Paladin cast iron radiator.